The robbery occurred Tuesday at 2:30 p.m. on Pacific Highway; no weapon was shown, only a demand note. 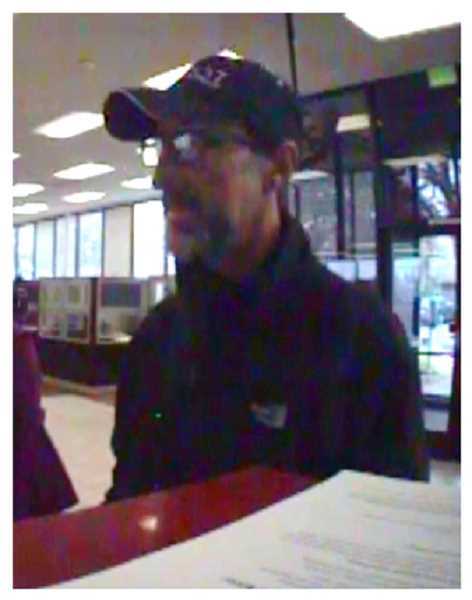 Tigard Police are asking for help to identify and locate a suspect who allegedly robbed the Tigard Key Bank11665 S.W. Pacific Highway, on Tuesday. A 9-1-1 call at approximately 2:20 p.m. alerted police of the robbery who quickly set up containment and searched the area. The suspect remains at large. According to witness statements, the suspect, described as a white male in his 50s, entered the bank and presented a demand note for money to an employee. No weapon was seen or implied. The suspect then fled the bank on foot with an undisclosed amount of money. It is unknown if the suspect departed the area in a vehicle.